Miam Miam: My go-to restaurant of choice. It’s whimsical, kitsch, and most importantly, offers delicious comfort food with a Brazilian twist. And the drinks are to die for! 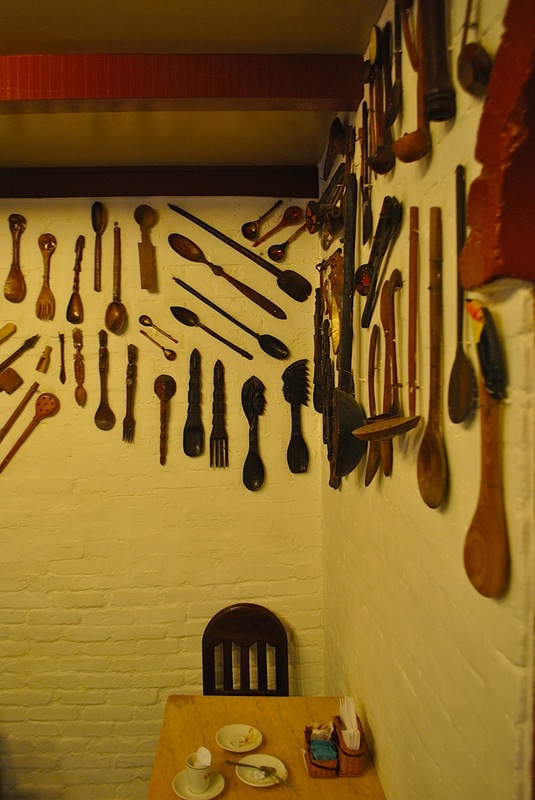 The owner recently opened another restaurant: Oui Oui, but I haven’t tried it yet. Colher de Pau: Best sweets in town. It’s THE place to go for a quick dessert, specially brigadeiros. The two locations are the corner of Rita Ludolf with Ataulfo de Paiva in Leblon and Farme de Amoedo with Prudente de Morais in Ipanema. Cafeína: Best coffee shop in town. Various locations. It’s also a great place to grab breakfast. 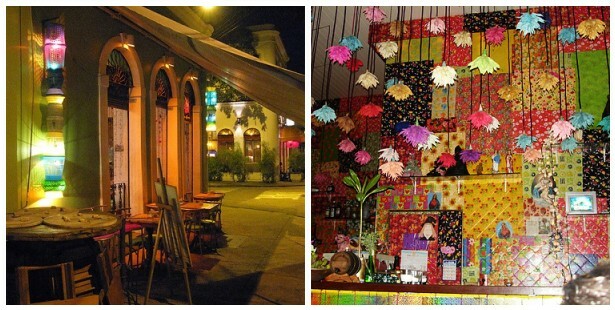 Palaphita: A really cool bar by Lagoa’s lakeshore. It has a romantic ambiance, especially when the weather is nice. The bar has an “Amazonian” feel to it, since the outside tables and benches are all raised on palaphitas, lie the houses on the Amazon river that are on stilts. A blogger friend, Mari, reminded me that they have amazing exotic caipirinhas. Da Graça: Best described by quirky and kitsch. It’s a cute little bar, with amazing decor, fabulous appetizers, delicious drinks and a great ambiance. It’s in Jardim Botânico, on Street Pacheco Leão 780. 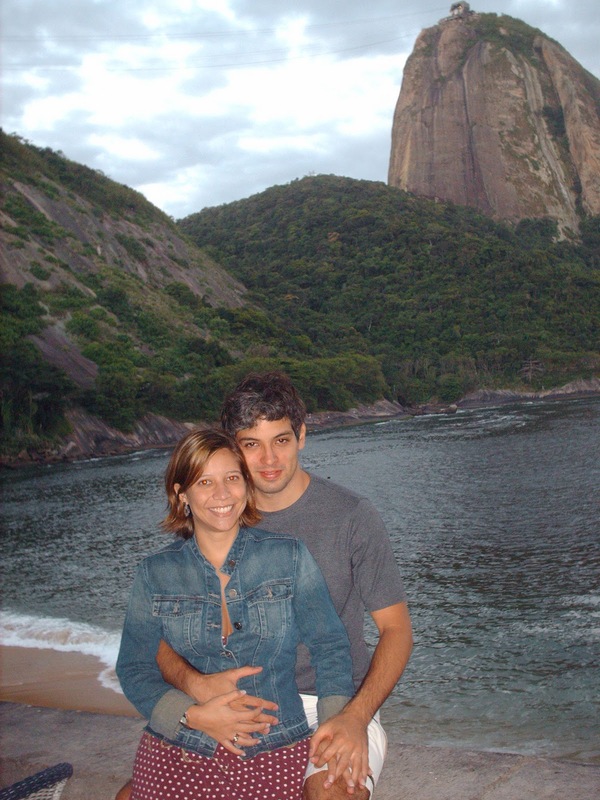 Círculo Militar da Praia Vermelha: This is a great casual date spot. Thiago and I used to go here quite often. The food (and service) are so-so (order pizza, always a safe bet!) But no one goes here for the food. 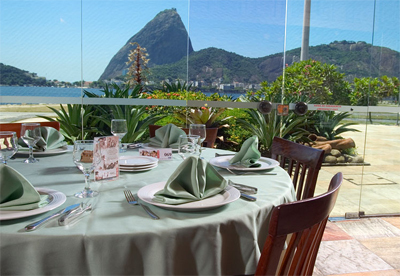 It’s for the ambiance and the AMAZING view of the Sugarloaf. This is the view from the Circulo Militar, where we celebrated Thiago’s 23rd birthday. Bar da Urca: Perfect for a late afternoon date, where you can enjoy pastel (an amazing fried pastry filled with basically whatever you want: from cheese to steak to shrimps!) *thanks to Jackie for reminding me of this place. Mil Frutas: A necessary pit stop for all ice cream lovers! Over 180 flavors of ice cream, most of them fabulous fruit combinations. Don’t be intimated, go ahead and try the exotic guava and cheese ice cream, fig and coconut water flavor or bacuri, my favorite from the northeast! Gula Gula: Bossa nova cuisine! For a simple, delicious meal, visit any of the Gula Gula locations around town. They serve an awesome picadinho (Thiago’s favorite beef stew), have amazing salads, and make the most delicious Chocolate Mousse Pie (my favorite! Ask to have it warmed up and served à la mode). Rio Scenarium: One of the landmarks in Lapa. 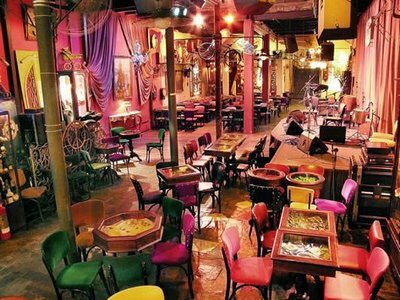 It’s famous for its decor (it used to be an antiques store), live Brazilian music and “posh” atmosphere (within the context of down to earth, casual Lapa, that is!). My recommendation: make reservations for a late dinner (appetizers, drinks and desserts) and then stay for the music! 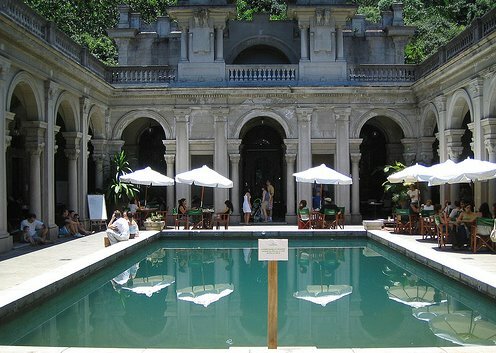 Parque Lage: If you’re looking for an amazing place to grab some breakfast, head on to Parque Laje. Inside the main building, where you’ll see great artwork (Parque Laje is home to one of the prominent art schools in the city), you’ll also find a cute little cafe where you go and have a delicious breakfast while enjoying the park’s natural beauty. Word of caution: If you happen to be in Rio in the summer time, try to get to the park early in the day, it gets crowded and insanely hot by 11AM. O Porcão Rio´s pra mim é o melhor! rs. A vista de lá é linda! Acredita que nunca fui ao parque lage? Que vergonha! Tb amei o Miam Miam. Oi Helen, tudo bem ? A Lili fez um post no blog dela tirando uma dúvida minha quanto à lente de contato, daí que você comentou na postagem e eu gostaria que você contasse um pouco como é o uso da lente pra você, alguma coisa que aconteceu, como foi a adaptação… essas coisas ! Também li que você fez cirurgia né ? Me conta um pouco como foi ? Ah, meu grau está em torno dos 4. Oi Helen!! seu blog é MARA..adorei todas as suas dicas de hoteis aqui no Rio…estou montando meu site..e as suas dicas foram de grande valia!! peguei várias para colocar no site como dicas de hoteis! adorei!